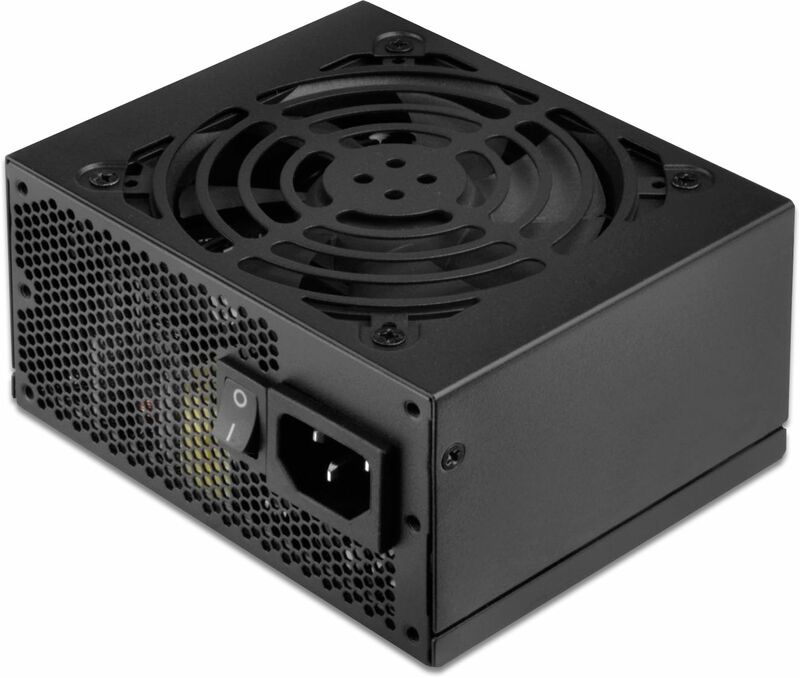 The Silverstone SST-ST30SF is an extremely efficient and quiet small form factor PSU, that also features semi-fanless mode! As the standards bearer of SFF (small form factor) cases and SFX PSUs, Silverstone has released a reference power supply design for the masses in the ST30SF, a 300W SFX unit designed with high affordability and great performance. It has 80 PLUS Bronze level efficiency and a semi-fanless design that raises the efficiency level for this wattage class and allows for unprecedented low noise operation in low loading conditions. To enable users to easily take advantage of this excellent SFX power supply, an adapter is included to convert ST30SF to mount in any ATX case in addition to ones that fit only SFX. For SFF users, the ST30SF is an excellent, well-rounded power supply for any DIY desktop computer. I bought this to replace a cheap (noisy) PSU I'd bought for my new home server build. I have no idea how loud the fan is because it has yet to even come on. Only problem is I can now hear my hard drives. Plenty of connectors, very small, perfect for low power builds.